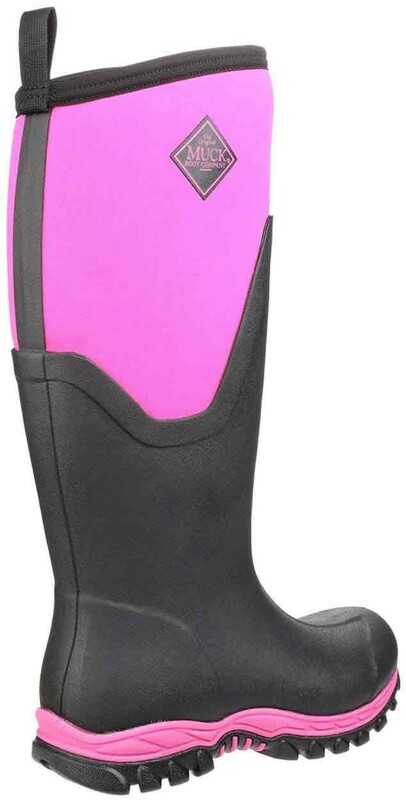 For women that love the outdoors, these wellies have a warm fleece lining to keep your feet toasty in temperatures as low as -40°C. 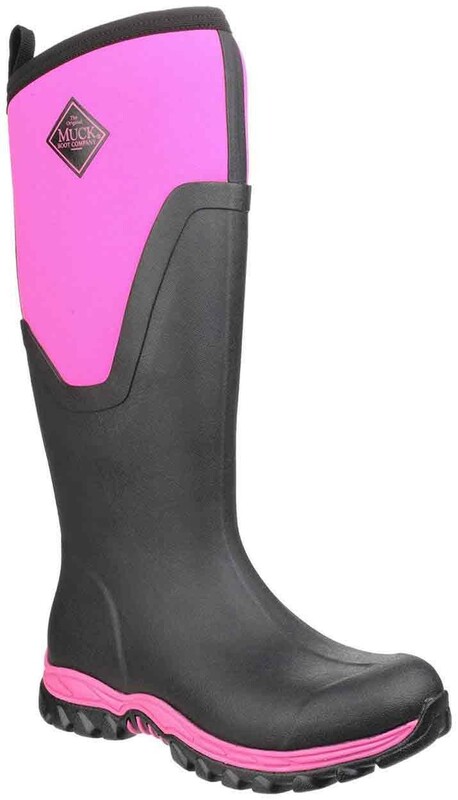 The Muck Boots Arctic Sport Tall Pull On Wellington Boot Black/Pink features: Lightweight wellies, Dual density EVA foot-bed, Women's last. Temp rating -40C to 4C. 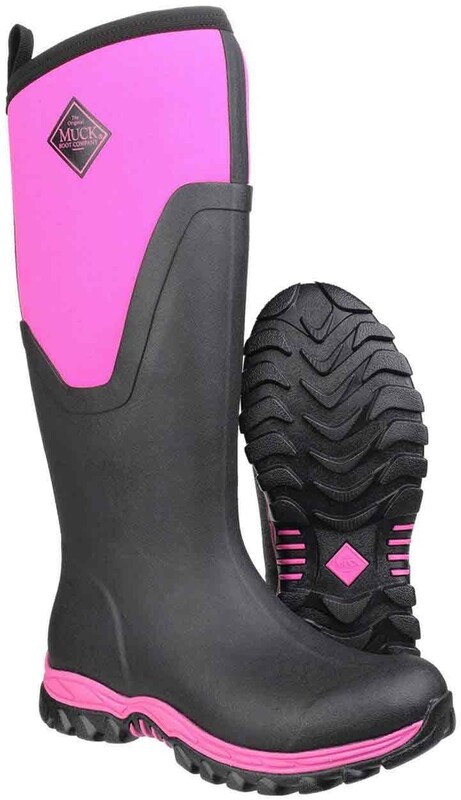 Upper: Rubber/Neoprene, lining: Warm Fleece, sole: EVA.